During the Wonderful World of Globe XI, the telecom giant showcased in live public viewers how fast is the Globe LTE network even during peak hours by simultaneously performing Speed Test in three different locations, namely Manila, Mandaluyong and Quezon City, wherein a minimum download speed of 50Mbps and as high as 100Mbps were attained. The results are the fruits of Globe's continuous effort in expanding its network infrastructure, including the recently acquired San Miguel's 700MHz assets. This aggressive stance is in line with the company's vision for the Philippines to have first world internet connectivity that other nations will admire. According to Ernest Cu, the President and CEO of Globe Telecom, the deployment of LTE services using the 700MHz band is now in full swing with around 250 sites to be up and running by the end of September and about 500 more to be activated within 2016. 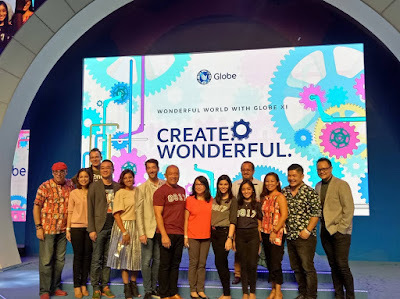 Moreover, Globe is also rolling out capacity expansion and modernization program, including deployment of fiber-optic technology, to address bandwidth requirements, enhance efficiency and boost productivity.